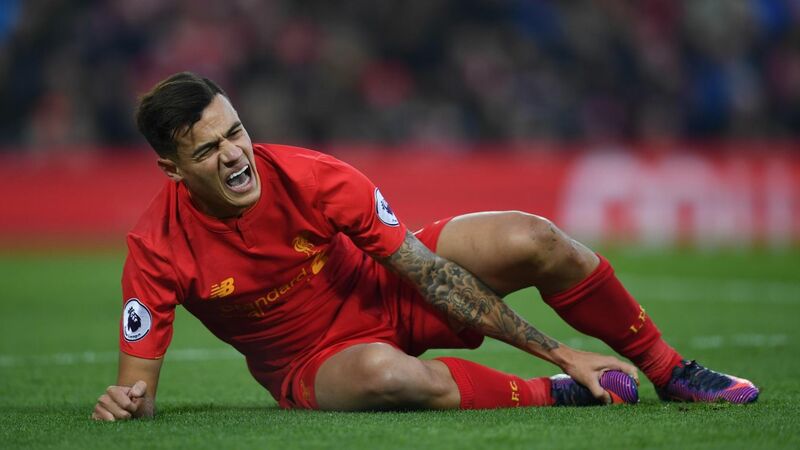 Liverpool manager Jurgen Klopp has ruled out playmaker Philippe Coutinho for at least five weeks after he sustained ankle ligament damage. The Brazil international had a scan on his right ankle on Monday after being carried off on a stretcher in Saturday's win over Sunderland. Klopp has now confirmed the predicted diagnosis that the 24-year-old will be out until probably the New Year. "Phil needs between five and a few weeks until we have him back," said the Reds boss ahead of their EFL Cup quarter-final at home to Leeds. "We will see. He is not in (to face Leeds) and for the next few games." Coutinho has been Liverpool's most influential player this season but Klopp said on Monday they could cope without him.